Are you ready to become a mad tester? 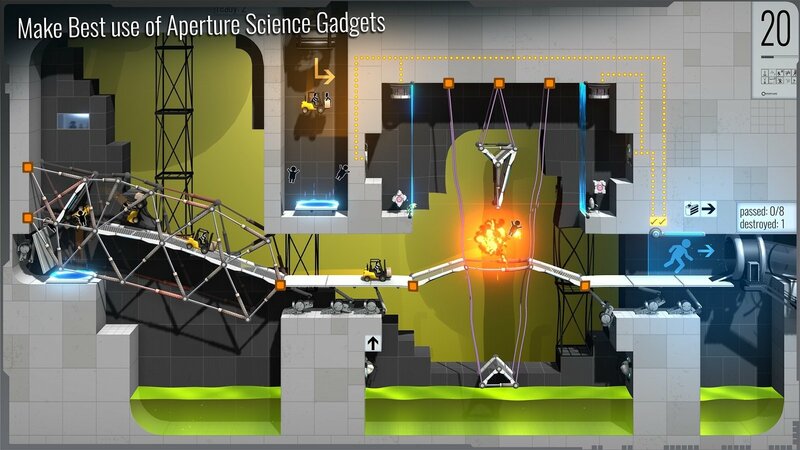 Bridge Constructor Portal is a fun and addictive puzzle game published by Headup Games. In addition to the role-playing games, action games, so puzzle games or simulation games from everyday life are an important part of the game lovers that choose to entertain. No fighting, no equipment, no tactics; These games are more entertaining than winning or losing. Today, these games look simple but still contain puzzles that require intellectual thinking. And today’s most prominent puzzle game is a familiar name that brings new experiences to life. Every game in the world before reaching the player is often undergo testing by the testers, and The Bridge Constructor Portal will turn you into a real tester. You do not have to pay much attention to the plot of this game, just know it will turn you into a mad scientist named GLaDOS. It’s the story at Aperture Science Research company where you work to invent new bridges that are better. Your daily work in the lab is to create durability tests to measure their load capacity by letting experimental trucks or the experimental characters run from the starting point to the target point. This game divided into of many small levels, the level of play will gradually increase the difficulty from simple to advanced. Turrets, extremely dangerous laser arrays to tear anything in its path. The girls or the dreamers that trusting you will encounter the unlucky things; maybe they will lose their own lives. 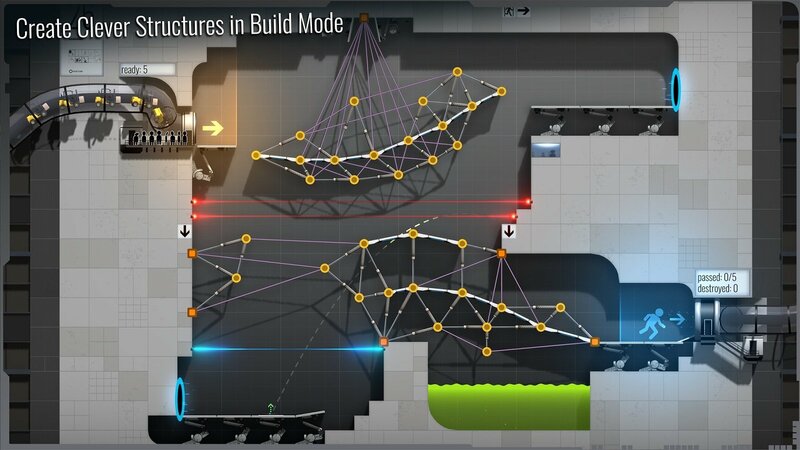 Although innovative, the Bridge Constructor Portal still requires you to build bridges that follow real physical rules. Most screens require a certain degree of accuracy, making sure you take care of every action you take; Be sure to connect the beams and cables to create a solid structure that supports the load and is consistent with the budget you have. Say it’s a bridge game, but actually, every screen game is a puzzle for you to answer. It is important to figure out how to connect the components together so that the bridge can stand. It will be difficult for any player, sometimes the bridge will collapse and terrible results will come when the bottom of the bridge is an extremely acidic lake. 60 levels will be 60 puzzles, each screen has something new and you will never feel that old game. Each successful game will give you a small amount of money that you can use to buy more material and pay the experimental characters in the next levels. 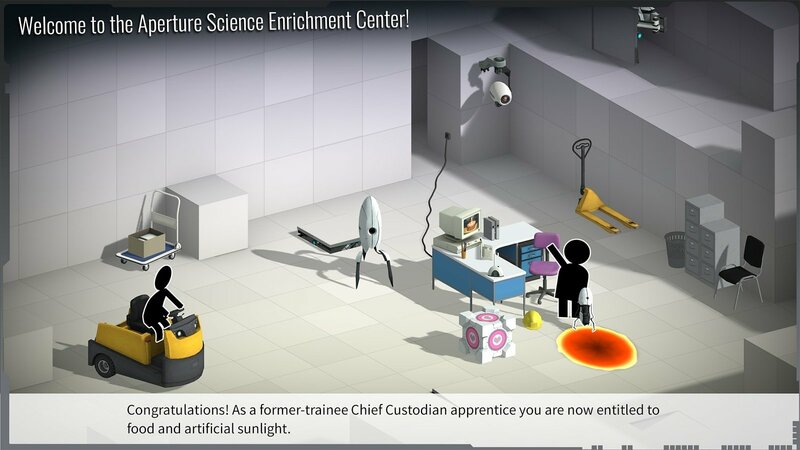 The exciting thing about Bridge Constructor Portal is that this game is filled with humorous jokes of GLaDOS. It makes any player feel familiar with a complete Portal version. For example, when the bridge collapses and a group of people test dead, GLaDOS will say they do not worry, their wages will be transferred to the afterlife. At first, I found it to be a bit like the 2D graphics of Inside: a puzzle game by Playdead but ignoring this, the game is still Portal style, nothing to discuss graphics because this game has been official copyright from Valve. This makes the Bridge Constructor Portal look like a third version of the legendary gaming franchise. I spent a few hours playing this game before making the post and felt quite impressed. It can play on both Android / iPhone and iPad, but I prefer to play it on the iPad than because the larger screen always brings a more inclusive feel. In short, Bridge Constructor Portal brings humor to horror, intelligent puzzles, and even flicker voices from GLaDOS. But in combination, they make a different and interesting game. If you are interested enough in this game, you can download Bridge Constructor Portal APK for Android or IPA for iOS; On the App Store or Google Play, the game costs $ 4.99. Bridge Constructor Portal APK is ready to download! 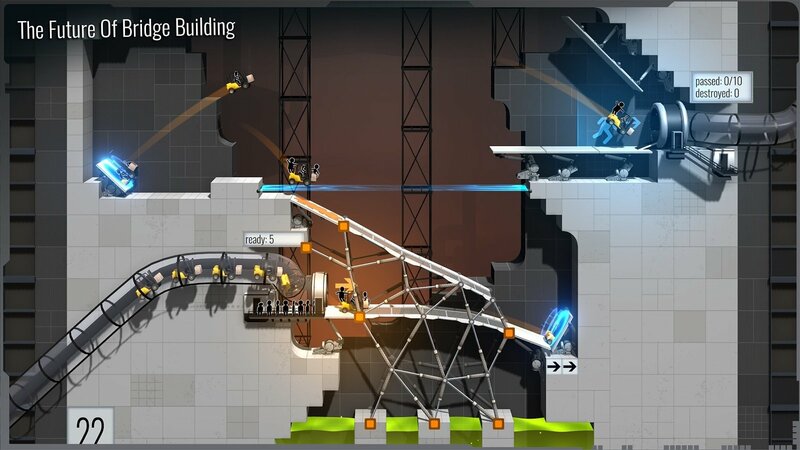 Depending on your needs, you can download Bridge Constructor Portal MOD APK or Bridge Constructor Portal Original APK. Or install from Google Play / App Store if you want.